Just a text to explain something. This is automatically converted to a paragraph, it can also hold some html. You will have to type the tags yourself though. Don't mind the layout of the form! You are able to style the form yourself, with custom classes or just by overwriting with the stylesheet of your theme. Just a fieldset with a legend! Now some fields just to show off! Don't be scared, this is Googles reCaptcha. It's an option in the addon. 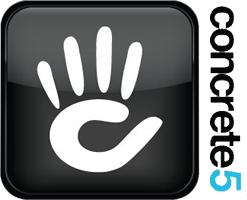 You can also use the build-in captcha of Concrete5 or don't use captcha at all. In this case I used Googles reCaptcha just to show it's a possibility.